In this explosive follow-up to Something on the Side, two of the original members of the Big Girls Book Club have started a new chapter of BGBC in Richmond, Virginia. The same rules apply here: You must be at least a bodacious size 14 to join. . . Living in the plush suburbs, thirty-seven-year-old Egypt has it all--almost. She's happily married to Rashad, but there's one thing missing. They want to start a family. Enter her sister, Isis, who's moved into Egypt's McMansion with dreams of starting over. There's just one hitch: before her sister married Rashad, he was Isis's man for ten years. Isis thought she was over him, but the close quarters are creating doubts. She's ready to leave until Egypt and Rashad ask her for a serious favor. And Isis can't say no--even if the price might be way too high for them all. Meanwhile, Loraine--Egypt's boss and one of BGBC's newest members--may be in the running for her sorority's next national president. But Loraine has secrets that could ruin her if they ever see the light of day. 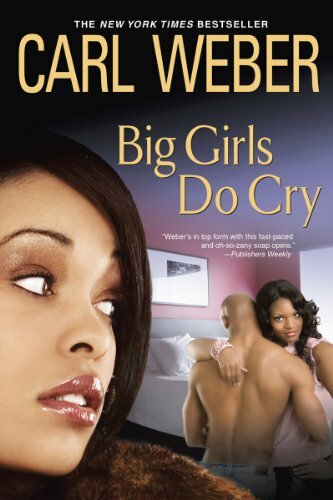 Now these book lovers are about to learn that drama can follow you wherever you go--and that big girls do cry. . .